A welcoming and friendly Midwestern city, Branson is renowned for its world-class live shows, centered around the theaters that line 76 Country Boulevard. With diverse theme parks, family attractions, lakefront water sports, and outdoor adventure, Branson is a top destination for family getaways. Chateau on the Lake puts you minutes from the spectacular Table Rock Lake and close to the city’s top things to do. So go ahead and explore! 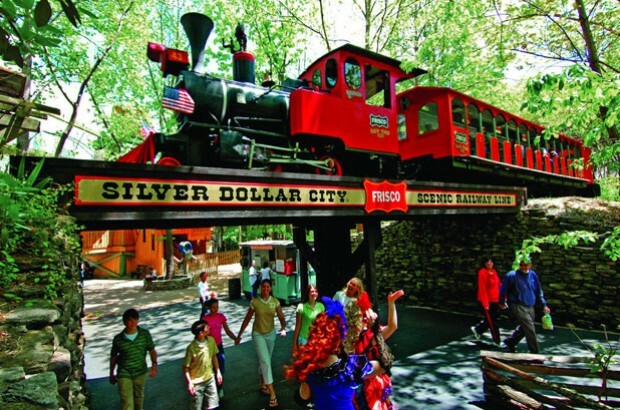 Branson’s iconic family-owned theme park first opened in 1960, Silver Dollar City features over 40 rides and attractions including a daring wooden roller coaster, Silver Dollar City’s White Water park and home of the Showboat Branson Belle. 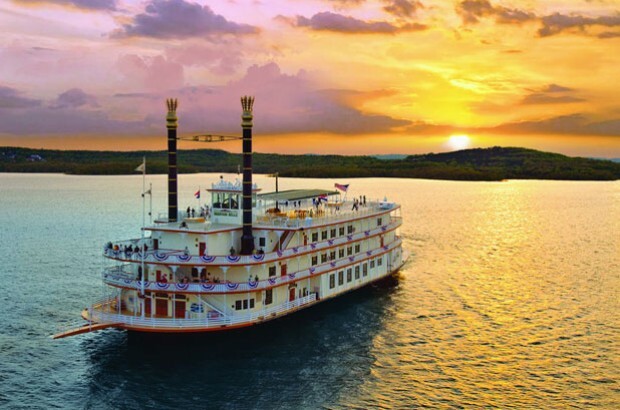 Step aboard this entertaining two-hour dinner cruise, enjoy a three-course meal and an amazing live show aboard the 1890s style paddlewheeler, while cruising on the picturesque Table Rock Lake. An immersive tribute to the Titanic and the people who sailed on its ill-fated voyage. 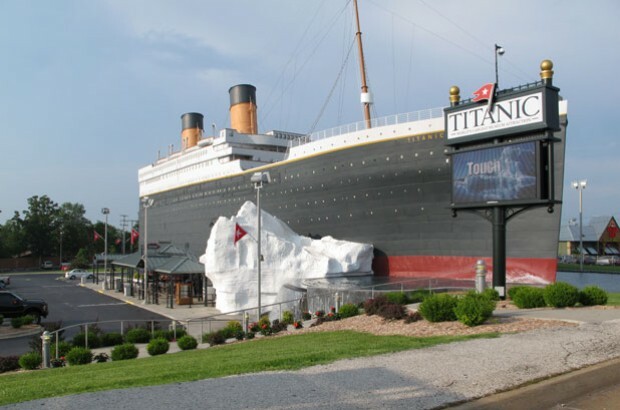 Spend an absorbing few hours, aboard the world’s biggest Titanic museum and experience what it was like to walk the hallways, parlors, cabins and Grand Staircase of the Titanic. Located in Branson Landing in the Branson historic district. 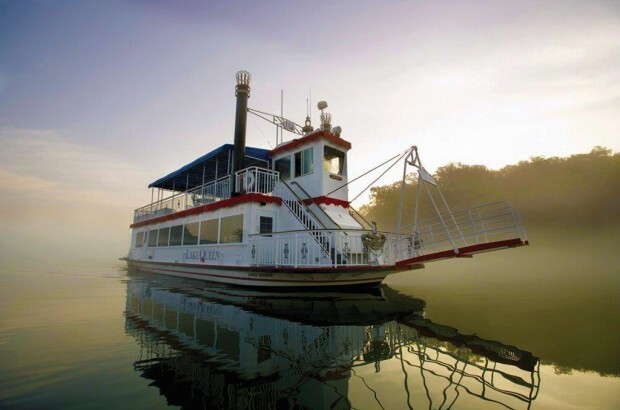 Main Street Lake Cruises offers daily cruises on the Lake Queen and Landing Princess boats. Cruises range from firework tours to historic tours, perfect for both small and large groups. 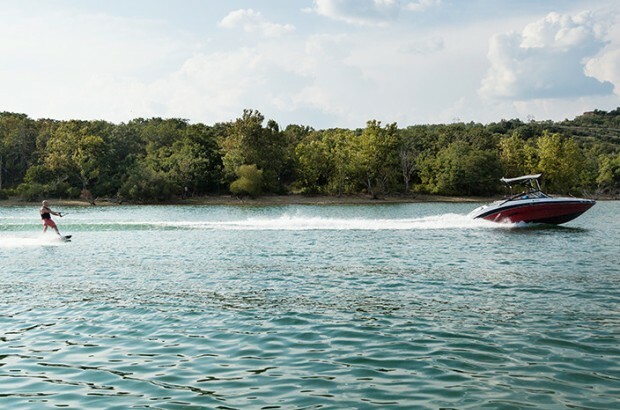 With plenty of lakefront fun, Table Rock Lake is a popular destination in southwest Missouri offering beaches, fishing, watersports, sailing, and scuba diving. The popular Moonshine Beach is adjacent to our resort. 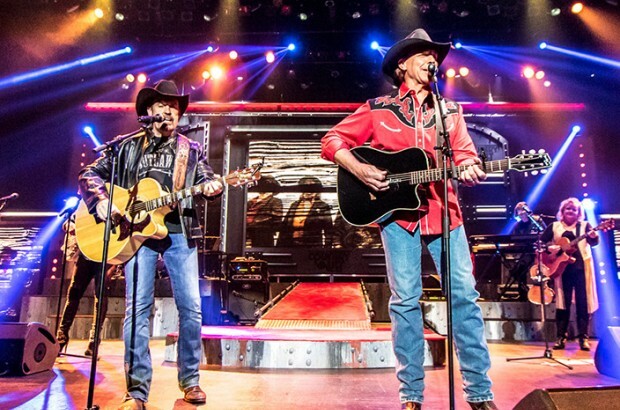 Famous for its live shows and concerts, Branson’s 76 Country Boulevard is lined with theaters offering a bevy of diverse entertainment on offer every day of the week. From the family-friendly variety shows, tribute music shows, magicians, rousing gospel shows, or dinner and a show at Dixie Stampede or Showboat Branson Belle, thousands of visitors flock to Branson each year to enjoy world-class entertainment. 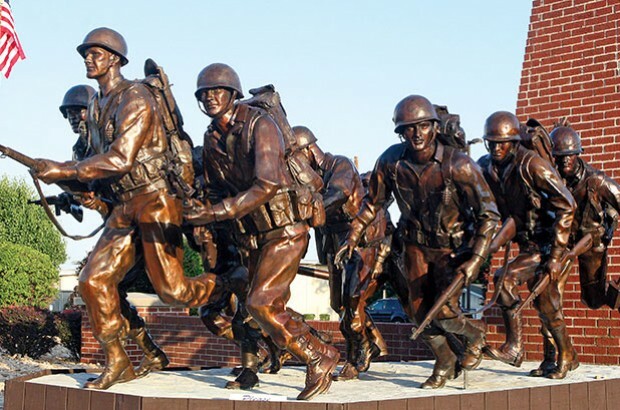 Featuring exhibits of all the major American wars of the 20th Century, the Veterans Memorial Museum pays proud tribute to all the men and women that have served in WWI, WWII, Korea, Vietnam, and the Persian Gulf. 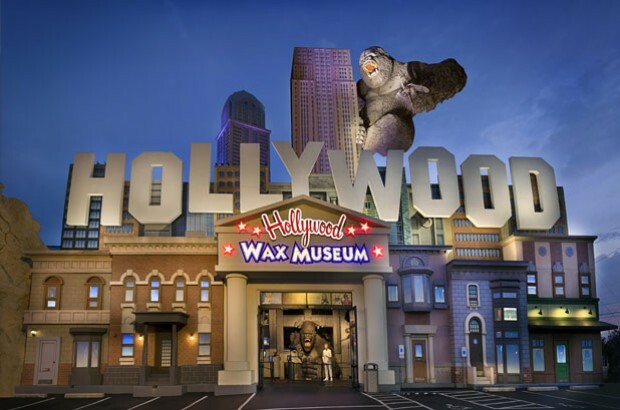 A Branson landmark in the Hollywood Entertainment Center on the strip, the two-story Hollywood Wax Museum showcases 15,000 sq ft of life-like wax figurines of Hollywood’s biggest celebrities. 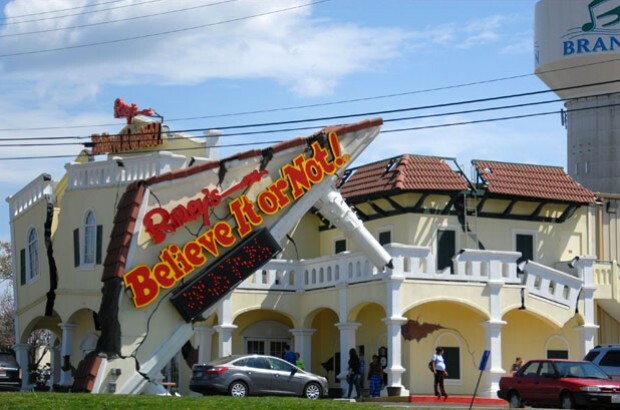 One of the most photographed buildings in Branson, this famous museum features a bizarre collection of some of the weirdest exhibits in a 12,000 sq ft Odditorium. It also features themed galleries, interactive exhibits, a vortex tunnel and more. 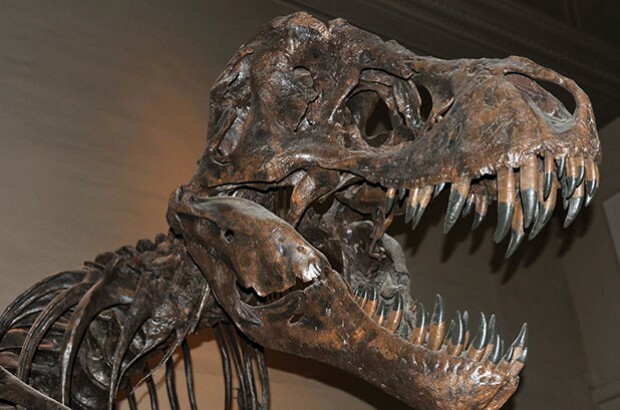 Located at the the Top of the Rocks Lost Canyon Cave and Nature Trail, this recently upgraded museum showcases giant exhibits of prehistoric creatures, Native American artifacts, and galleries showcasing the American West and Civil War. 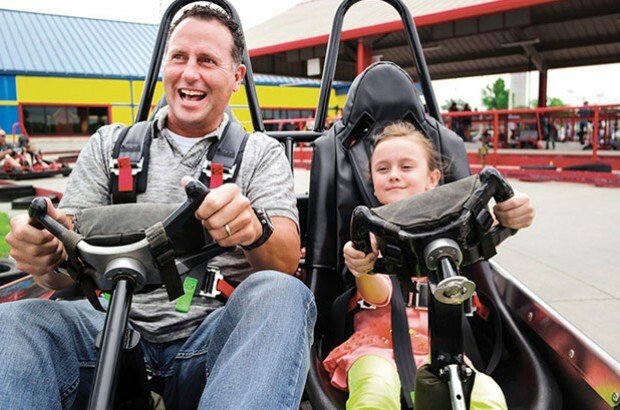 Rev up for some high speed family fun at the high rise and classic go-kart tracks at the Tracks Family Fun Parks, as well as laser tag, laser maze challenge, bumper boats/cars, kids’ rides, mini golf, indoor glow golf, and arcades. 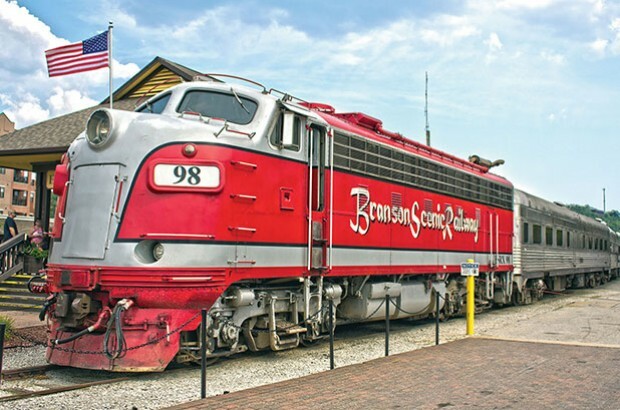 From the historic depot downtown, the Branson Scenic Railway takes passengers on a 40-mile round trip along the heritage railroad that makes its way through the Ozark foothills and tunnels. 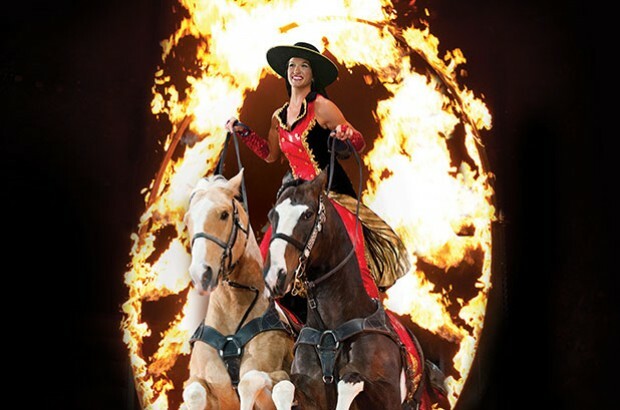 A dinner show extravaganza featuring a wild-west trick riding horse show, live acts and musical performances as well as a home-cooking-style dinner. 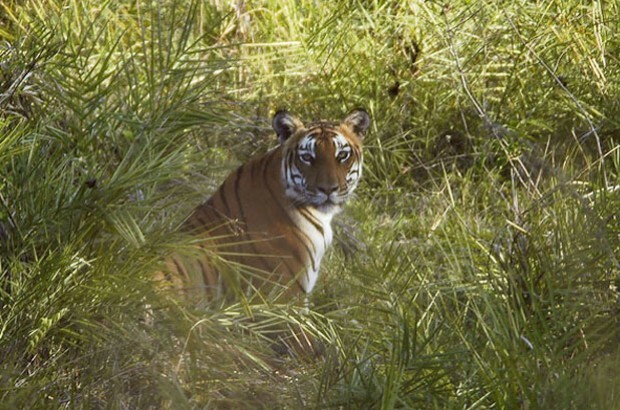 A non-profit wildlife rescue organization, the National Tiger Sanctuary provides a permanent home for rescued lions, tigers, and big cats. Offering guided tours and educational programs, visitors can walk or rent a scooter to tour the sanctuary. 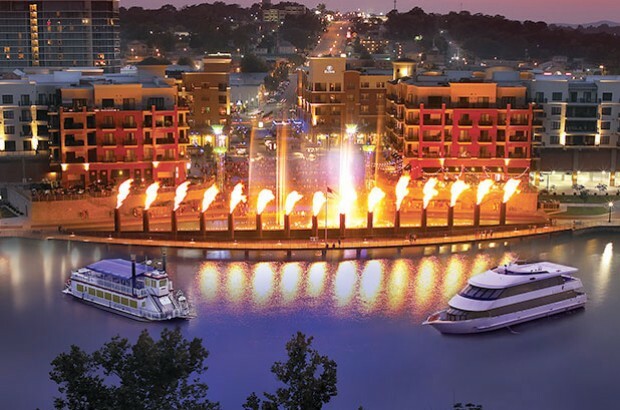 This expansive upscale waterfront shopping complex offering world class dining, shopping and entertainment on Lake Taneycomo featuring a town square, amphitheater, and a water fountain show in the evenings.